B.One Edge® incorporates a state-of-the-art parallel processing architecture with Hard Real Time Performance to make it the fastest and first of its kind Edge Computing IOT gateway in the market. 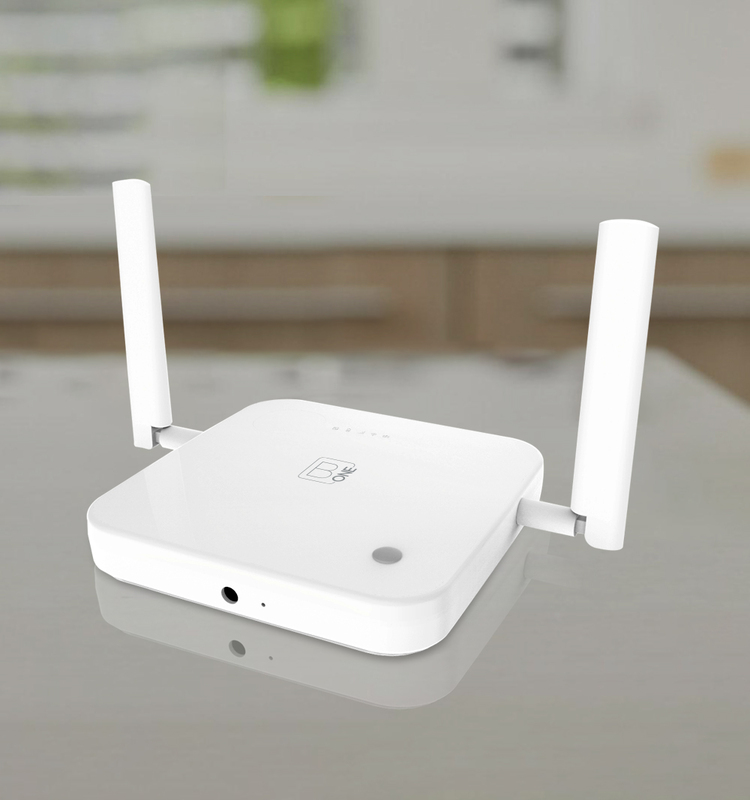 Edge is a multi-protocol gateway with Z-Wave, Zigbee, BLE, BT, Wi-Fi (Dual Band), LTE Cat 4 and Universal Infrared Remote Learner and Repeater. Delivers ultra low latency and high real-time experience in command execution and performance. Enables faster communication of real-time data from smart devices and published services. Sensors, devices and actuators driven data is computed and executed at the edge of the network reducing the reliability on low and intermittent connectivity to cloud services. Helps save bandwidth, storage, time and costs by limiting the data that needs to be transmitted to the cloud causing Network latencies. High value-Short term (smoke alerts, Intrusions etc.) data processed at real time (no dependency on Cloud latency) to help in emergency situations where the user requires immediate actions. User has the ability to keep their data secure and use the cloud when needed, ensuring privacy of all data generated at their homes. In addition, Military grade encryption at the “EDGE” ensures security of data against hacking. Ability to move analysis and Intelligence to the Edge of the network where the data is generated, enabling faster “call to actions”.